A new report from the state Department of Health and Human Services found no common links in a string of rare cancer cases on the Seacoast. The findings are based on survey data collected by DHHS after a so-called cancer cluster was identified on the Seacoast last year. Two rare forms of pediatric cancers had been diagnosed in that area at significantly higher rates than normal. The surveys were intended to identify any commonalities between the cases, like environmental exposures or medical histories. But state epidemiologist Benjamin Chan says out of 40 questionnaires sent to families of cancer victims, the state received only 7 responses. The investigation into the cancer cluster isn’t over though. A new legislative commission will continue looking into whether water contaminants or other environmental sources may be to blame. 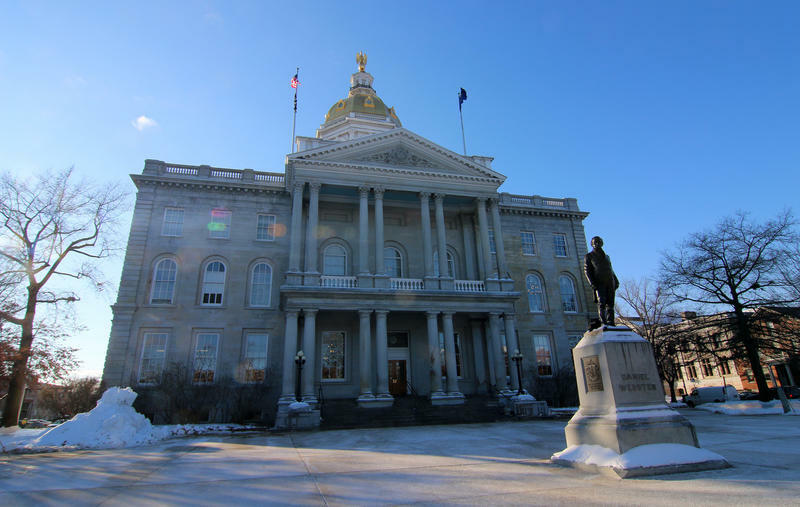 The state Senate has signed off on a plan to create a commission to investigate a string of rare pediatric cancer cases on the Seacoast. In early 2016, state officials discovered a so-called cancer cluster in a five-town area of the Seacoast. Two rare forms of pediatric cancer had been diagnosed in that area at significantly higher rates than normal. 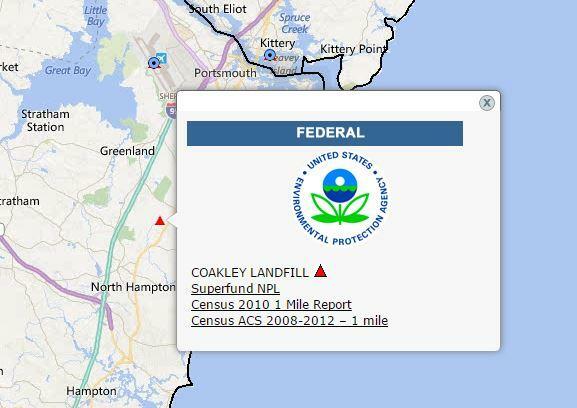 The Coakley Landfill, a federal Superfund site located in North Hampton and Greenland, N.H., is the fifth source of perfluorinated chemicals identified in New Hampshire. The Governor’s task force on the Seacoast cancer cluster investigation continues to look for what might have caused a string of rare cancer cases in children on the Seacoast. 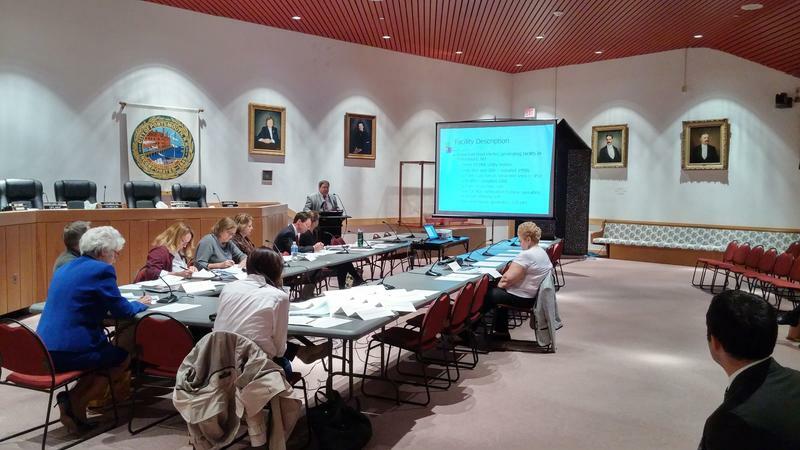 Yesterday’s meeting at the Portsmouth City Hall focused largely on the Schiller Station power plant, which has been suggested as a potential environmental cause for the cancer cluster. The governor’s task force investigating cancer clusters on the Seacoast issued a set of recommendations Wednesday. The task force was charged with investigating potential causes for unusually high rates of two cancers among children living in a region of the Seacoast. Today the task force issued a set of recommendations, including one to extend municipal water to homes near the Coakley Landfill – a superfund site that was investigated as a potential cause of the high cancer rates. Stefany Shaheen is a member of the task force.